2ND UPDATE: Giovanna has been found safe. UPDATE: One of the missing girls,Victoria, has been found safe. Giovanna is still missing. 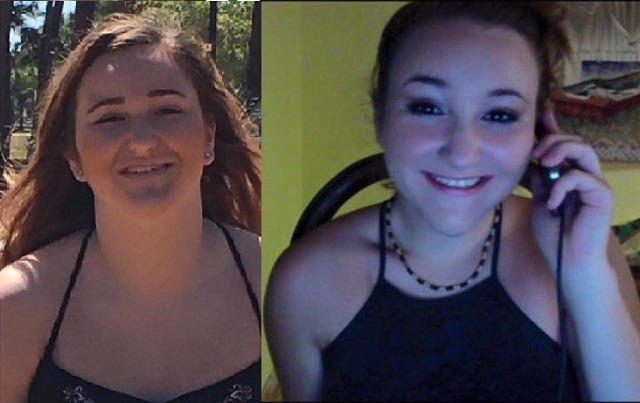 BREVARD COUNTY, Florida - The Brevard County Sheriff’s Office is seeking the public's help in locating two Brevard County teenage girls: 15-year-old Victoria Kazoroski of Melbourne, Florida and 16-year-old Giovanna “Gio” Denize Castro of Rockledge, Florida. Victoria left her residence on March 8th, 2016, at approximately 7:10 p.m. Victoria is 5’07”, 170 pounds, with brown hair and brown eyes. Victoria suffers non-life-threatening medical conditions which require medication. She was last seen wearing a West Shore Jr./Sr. High School letterman jacket (Navy body with grey sleeves), a blue Hollister shirt with white lettering, blue jeans and black Converse hi-top shoes. The Sheriff's Office believes that Victoria was picked up by, and is in the company of, Castro who is also a reported missing juvenile. Giovanna has been listed as missing since March 1, 2016. According to the Sheriff's Office, Castro has a history of running away and was previously located in Louisiana in a stolen vehicle. Anyone with information about the whereabouts of these juveniles is asked to please call Brevard County Sheriff’s Office South Precinct General Crimes Agent Jason West at 321-253-6683, or CRIMELINE at 1- 800-423-TIPS (8477), you can also visit http://crimeline.org/, or text ‘crimeline’ plus your tip to CRIME (274637). All information to CRIMELINE is confidential and you may be eligible for a reward.